Southern California Edison is being investigated by state regulators for its possible role in the massive Woolsey Fire burning in Los Angeles and Ventura counties. According to CPUC, electrical infrastructure may have suffered malfunctions near ground zero of the blazes. On Thursday, SCE issued an alert to the CPUC that a substation circuit near the Woolsey Fire origin "relayed," or sensed a disturbance on the circuit, just two minutes before Cal Fire said that the devastating fire began. The utility said personnel have not being able to access the area where the fire reportedly began. 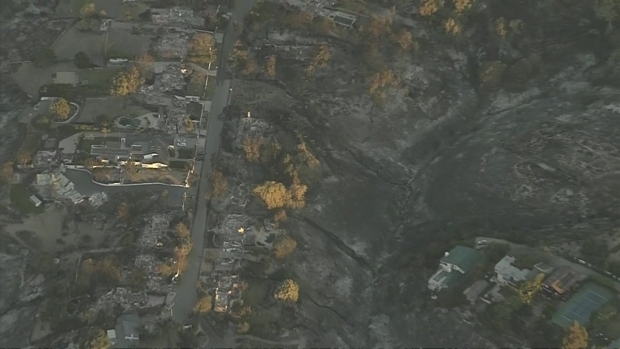 Aerial video shows homes in the Point Dume area, some of which were destroyed in the Woolsey Fire. Video is from Monday Nov. 12, 2018. "The CPUC is monitoring the fire conditions throughout the state, in coordination with our partners from Cal Fire and Cal OES. CPUC staff will incorporate Edison's incident report into its investigation to assess the compliance of electric facilities with applicable rules and regulations in fire impacted areas," CPUC spokeswoman Terrie Prosper said on Monday. "The CPUC staff investigation may include an inspection of the fire sites once Cal Fire allows access, as well as maintenance of facilities, vegetation management, and emergency preparedness and response. 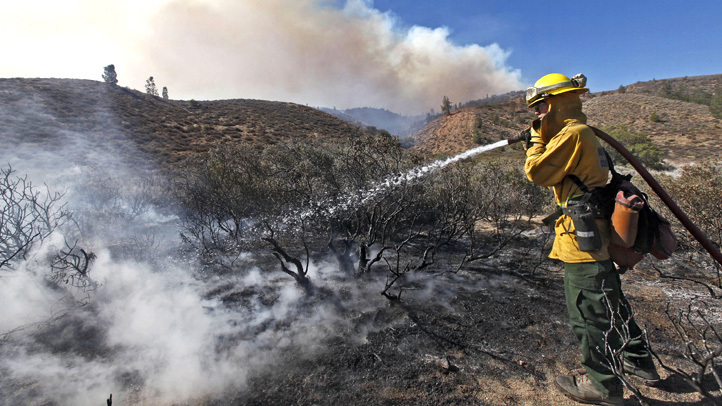 Cal Fire is the first responder and determines the sources of ignition of the fires and the way that the fires spread." The agency is also investigating PG&E for its possible role in the Camp Fire in Butte County, which has burned 113,000 acres and resulted in at least 29 deaths, the report said. The Woolsey Fire has burned more than 91,000 acres in Los Angeles and Ventura counties with an estimated 370 structures destroyed and at least two people killed. As of Monday afternoon, the fire was 20 percent contained.